Yoga with children has been one of my pet loves since my own children were young. I have found over the years that Yoga for children in schools is the most effective way for children to experience the explosive fun of Yoga and the interesting concepts that their body and mind can teach their inquiring minds. 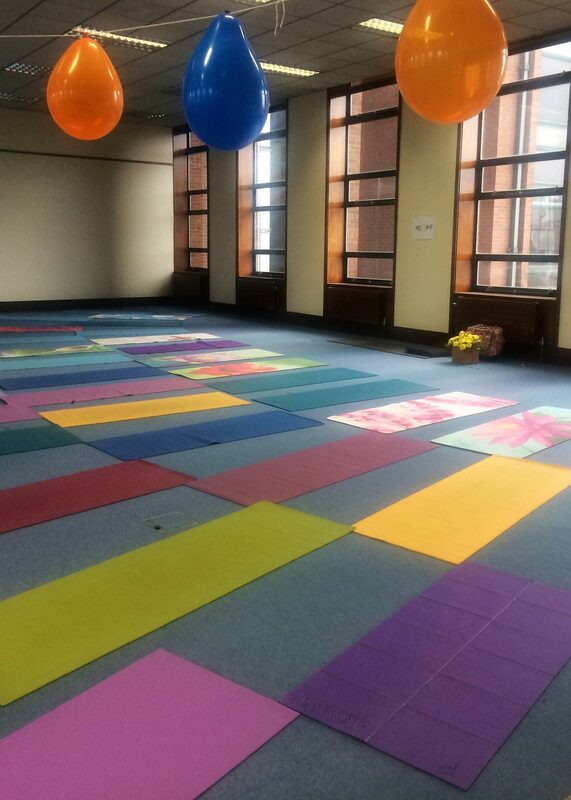 The second most popular venue for Yoga for children is a Yoga party for children! Always fun and exciting! I use the YogaKids programme, as the foundation of my work with Yoga for children, I have been teaching Yoga to children since 2004. Yoga with children in or out of primary school is an exploration through our bodies, of the world all around us! 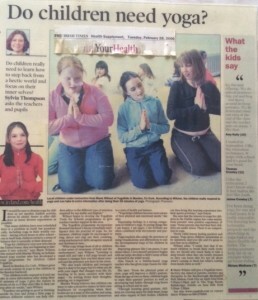 It is fun, it is experiential and Children Love Yoga! Howard Gardner believes that the more ways information can be processed the more likely it will be to be stored in a variety of networks, allowing it to be readily accessible- we could liken it to cross referencing in the mind. This theory combined with the Elements of YogaKids, works well in finding ways to stimulate, co-create and transform information in the body and mind. With my long term background in the YogaKids programme, and a certification in Mindful schools, (I am also over ten years teaching Yoga to adults and teens) I provide age appropriate information for each class or workshop. I bring broad field of knowledge to the children for learning and exploring their environment and their connection to others and themselves. awareness development including finding self awareness and awareness of others. Reading comes alive with Yoga, brings the story to the children through active postures (with sound…gets kind of noisy sometimes!). Plus I try to set a seed of personal quiet time, its importance at home and how to encourage it to grow in their life. And investigating what that can mean to each of us in our own experience. Surprisingly all of the above can happen in one class, or just a select few- you never know if the class plan you have will go according to your wishes, but the input from the children is the intervention between the plan or some other direction.